Anchorage Museum Expansion Construction Schedule and Traffic Updates | provided by RM Consultants, Inc.
provided by RM Consultants, Inc. Temporary lane closures will be a result of the Museum expansion construction and is anticipated to begin in February 2016 and continue until February 2017. 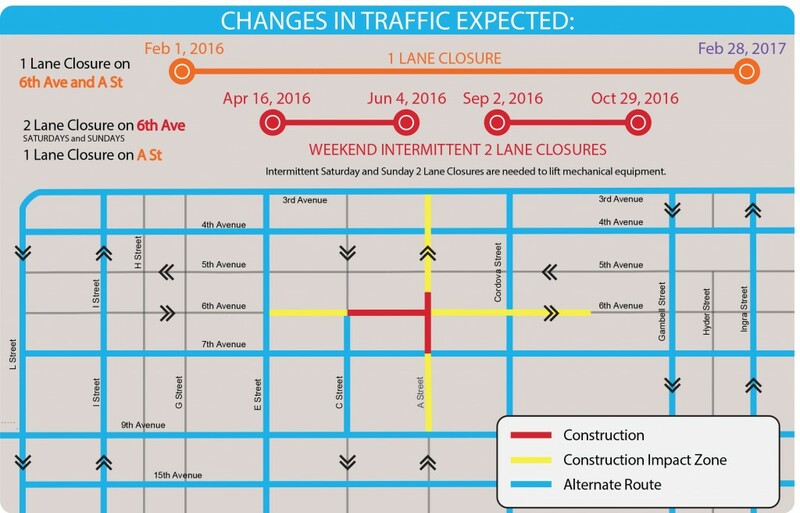 Construction will be occurring along 6th Avenue between C Street and A Street and along A Street between 7th Avenue and 5th Avenue. During construction, carpooling and the use of alternative routes is strongly encouraged. Eastbound Traffic: 3rd Ave, 4th Ave, 7th or 9th Ave.
Northbound Traffic: E St, Ingra St, Cordova St.
Click on the map and schedule below to enlarge. 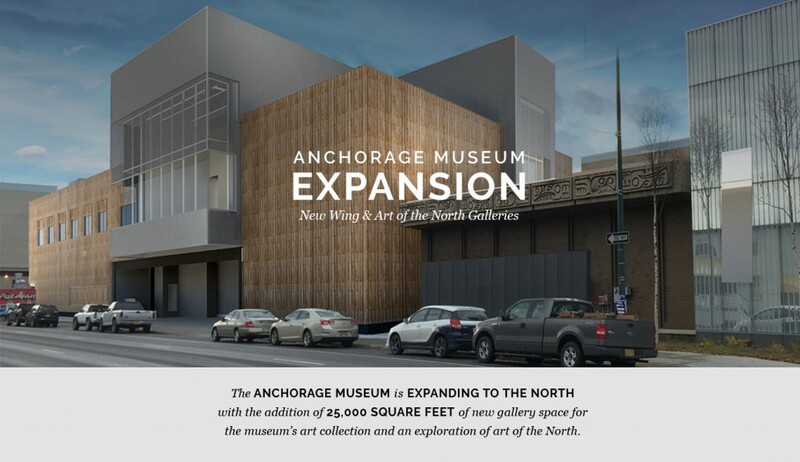 The Anchorage Museum will begin construction on its expansion in February 2016 with construction anticipated to last for 12 months, until February 2017. Improvements to the existing museum include a second story addition for additional gallery space to exhibit art from the Museum collection as well as space for changing art exhibitions for the public’s cultural experience benefit. The expansion project will also help to further economic development of Anchorage’s Downtown. Updated information, including project schedule and traffic information will be posted as they develop. Please continue to check back from more detailed, up to date information. anchoragemuseumconstruction.com is published by RM Consultants, Inc. on behalf of the Anchorage Museum Expansion Project.